I specialise in using website world's eCommerce content management system (CMS) which comes packed with powerful built-in features. No need to pay for extra add-ons and plugins. The wide range of fully customisable templates means I can offer one of the most cost-effective web design solutions in NZ. I also offer the option to build your online store in Shopify if preferred. Contact me for a no-obligation quote. You can choose to build your own website with our free website world content management system and free shopping cart. Design your own website for free, selecting from hundreds of customisable free website templates. When you host your web site with us, you get the website world CMS and a range of other 'add-on' features and functions absolutely free! As a reseller for website world I offer discount web hosting plans start at only NZ$7+GST per month. Free website builder templates, a powerful content management system, detailed web statistics and email accounts are included with all of website world's web hosting products. Everything is included in one simple monthly hosting fee. Most website hosting packages include a free SSL certificate, shopping cart and bulk emailer. Web hosting customers can also register domains via me for only NZ$20+GST per year. Website world's free shopping cart solution makes selling online a breeze. You can accept credit cards online as well as offer other direct payment and laybuy / instalment options. Website world does not charge percentage transaction fees and its eCommerce solutions integrate with Xero and other accounting packages. If you prefer to run your online store in Shopify, then Shopify fees will apply. Learn more about the website world eCommerce and shopping setup on the FAQ page. My web design service includes search engine optimisation from the outset. I do not charge separately for this initial service, as I believe it is an integral part of the copywriting and design process. Whilst I cannot guarantee you will immediately be at the top of all Google search results, I will help you identify key words and achieve the best ranking possible. The FAQ section also has helpful tips to optimise and promote your own website if you like to be hands on. If you're not sure where to start or find creating the words a chore, I can work with you to write your website content. Even if you provide all the text, I will offer editing advice to ensure it is optimised for search engine purposes. I am a firm believer that a professional site should not have any typos, so strive for perfection in this regard. 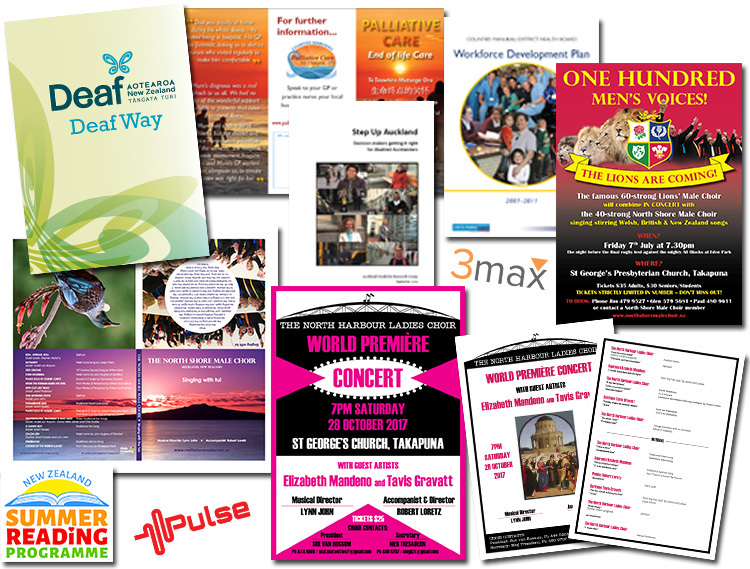 Does your organisation need flyers, posters, brochures, etc? I can design and print booklets, reports, training materials, business cards, stationery and other advertising products you may require. My affordable design rates are hard to beat. I can work with your regular printer or obtain prices for alternatives. Email your requirements and I will get back to you with a quote within 24 hours (and usually a lot sooner). Client confidentiality is guaranteed. I can help you set up social media accounts, such as Facebook pages and Instagram, that match your website branding and reflect your image. I encourage owners to run their own accounts, but help by monitoring the accounts and offering advice on how to increase interactions.